Do not stay without visit Machu Picchu. Buy and secure your visit! 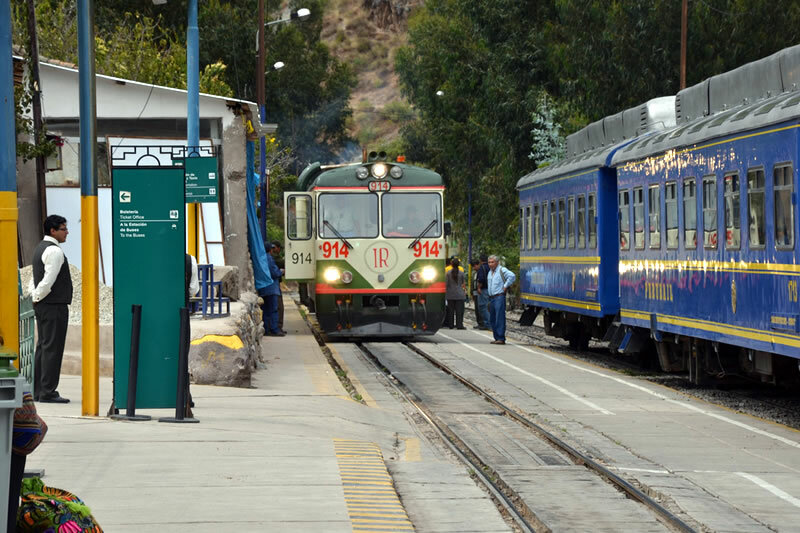 There are two train companies that provide the transportation service to Machu Picchu, PERURAIL and INCA RAIL. The use of this service is vital to get to the Inca City of Machu Picchu, especially during rainy seasons, when road access becomes somewhat unsafe, due to certain natural events caused by rainfall during The months from December to March. The indications given below will serve you in both cases; However, the information is based on the service provided by PERURAIL. Inform the staff of the train company, if they have a physical disability or special medical condition, as in some cases, the staff of the train company will prevent you from boarding the train if they consider that your health may be affected during trip. In no way will they let you enter the car without presenting your Identity Document or Passport “in force”; In case you do not have one of them, the staff of PERURAIL (or INCARAIL) will prevent you from boarding the train; Remember, train tickets are non-refundable. In case of wanting to change the date of your train ticket, you can do so until 24 hours before the scheduled time on your ticket, after this time there is no possibility of cancellation or change. In case you want to change the date of your ticket, you must do so directly in the offices of PERURAIL, with your identity document or passport and your printed train ticket. Do not forget that the date of rescheduling is subject to the availability of tickets for the next 7 days, after paying the penalty in the offices of PERURAIL in the city of Cusco, they will give you a constancy of change, this must be shown next to the Train ticket at the time of boarding; You can change your ticket only once. We have no information about any modification in the INCARAIL company case during this season; However, you should be aware of the information uploaded to your website. Both PERURAIL and INCARAIL companies have multiple types of services ranging from tourist class to exclusive service trains, such as Hiram Bingham (one of the most luxurious trains in the world, belonging to PERURAIL), or the presidential service of The Princess Inca in the company INCA RAIL.